Who knows where you will discover the tid-bits of information that ease you through life from season to season? Long ago, a neighbor – a guy who studies entomology (bugs) and engages in long treks in foreign places – told me he never pulls up all his spent plants in the fall, leaving instead a ‘winter garden‘. So I pass by flower beds where the owners have meticulously cleaned up every last bit of perennial foliage, undertaking a clean sweep of orderly beds, so only stubble remains in the black earth, readying them for the coming seasons – and I’m so tempted to follow their methodical inclinations. Somehow I resist, instead I carve out a place for small heaps of snow to pile around a stand of stiff delphinium stocks. I leave a nest of black eyed susans stems to sparkle with crystal hoarfrost . In the back garden the morning sun reaches a small bed of gangly flocks and shines through the tired golden leafs. 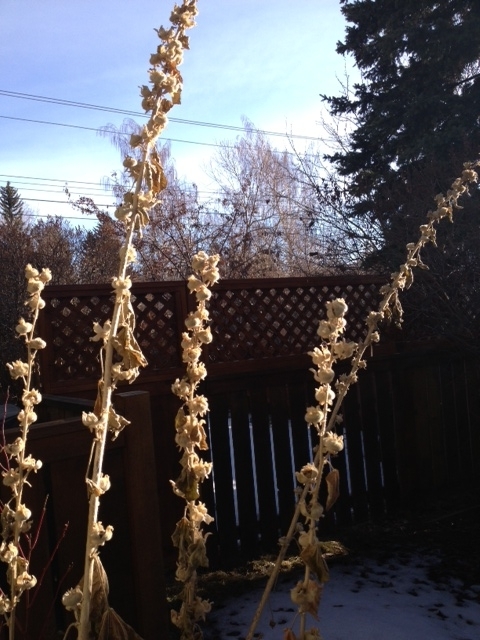 This year I even left the most stately eight foot hollyhocks, rising out of a bed of snow. I’m grateful to my neighbor who led me to the winter garden inspiration, but now it is late February. The snow is crusty and hard, the dry crisp leaves rattle in the breeze, clinging to the stems like winter clings to the landscape. On the February long weekend we made the drive through the mountains to our cottage seven hours west. Home in Calgary, Alberta is a gardening zone three. 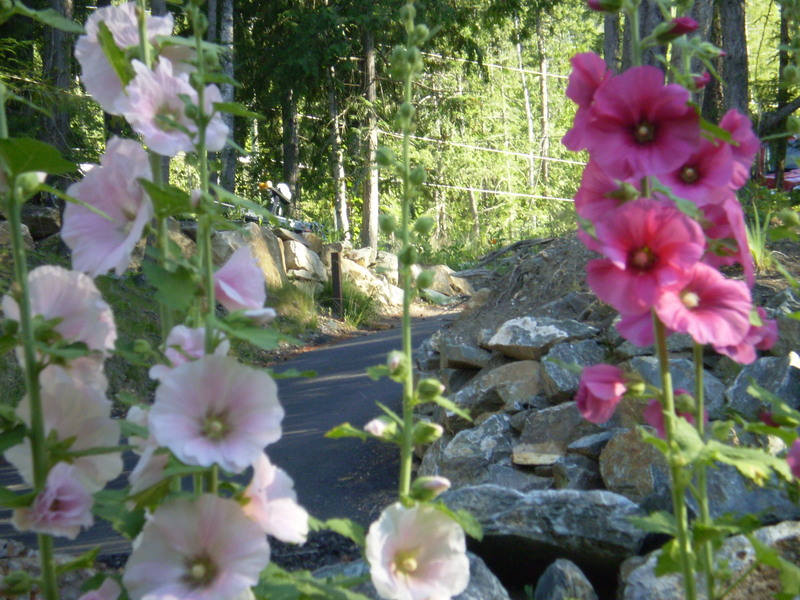 A hardiness zone is a geographically defined area in which a specific category of plant life is capable of growing, as defined by climatic conditions, including its ability to withstand the minimum temperatures of the zone. The cottage, in the interior of B.C., is in a place called the Shuswaps and is a more encouraging zone 6. During a short break from the wet weather we were having that weekend, the sun slanted through the slate blue clouds and searching hard, I found the smallest promises of spring’s revival. These weren’t tulips or even wee purple and yellow crocuses. There wasn’t even a brave pale snowdrop blossom in sight. But on the far side of the cottage, against the warmest wall I found teeny weeny hollyhock seedlings, dotting the damp earth. I had shaken the small flat seeds from spent buds and stamped them into the ground on a fall day months previous, and now here were the beginnings of hollyhocks that would grow to reach the kitchen window high above them, and by August the long stems with a multitude of ruffled pink and white blooms, encouraged by the sun and warm nights, will stretch even higher. In that zone six it is exhilarating to reap the abundant beauty of nature’s kindness, but my heart swells with admiration for the determined and faithful green thumbs working the soil in Calgary’s much cooler zone three designation. Gardening in our foothill’s city is an exercise in patience, optimism and hope. 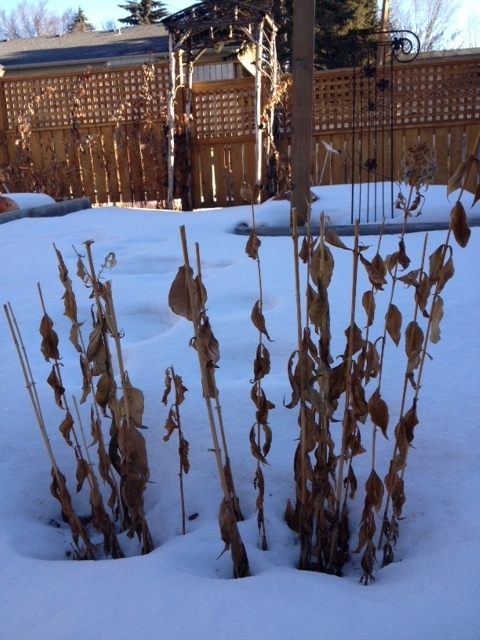 It might be long weeks before I find the hollyhock seedlings here where crusty snow is still the tired background for my now unappreciated winter garden. 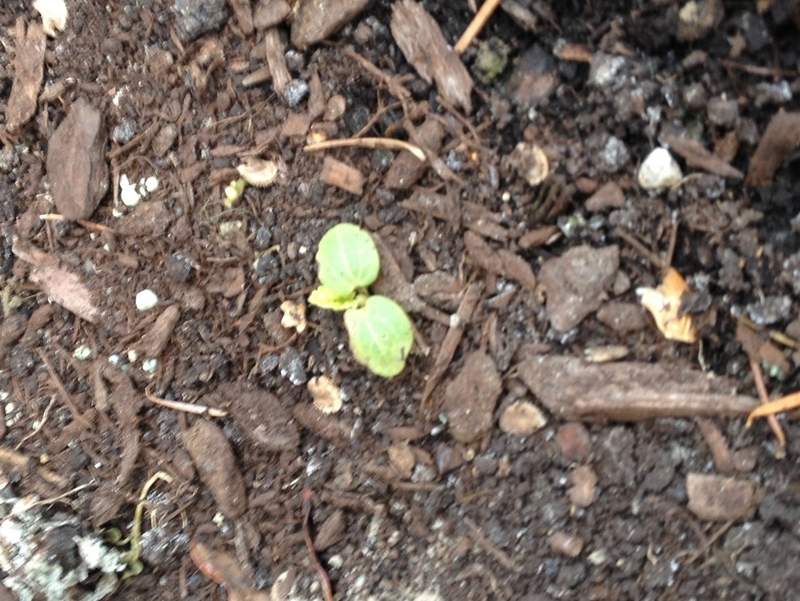 But alas, when I do see the itty bitty pale green seedlings peeping through the earth, displaying their own determination, they will beckon my faith in the homecoming of our sweet, though perhaps, too short, summer.